Robertson Ranch Terraces is currently offer homes being built by Toll Brothers home builder with many homes slated for completion in 2017. The Terraces in Robertson Ranch offers the following home designs: Andalusia, Costa Blanca, La Verde, Sanabria, Zamora with details listed below. The models of Andalusia and Costa Blanca will offer main floor master bedrooms while all the other plans offer second floor Master Suites. All of the model homes are open at the Terraces with home buyers able to make design changes to the final product. These are detached single family homes with modern interiors, outdoor terraces and attached garages. One of the key elements in these homes in maximizing the indoor and outdoor spaces together. Please contact us at 760-710-0268 to view homes in this neighborhood. 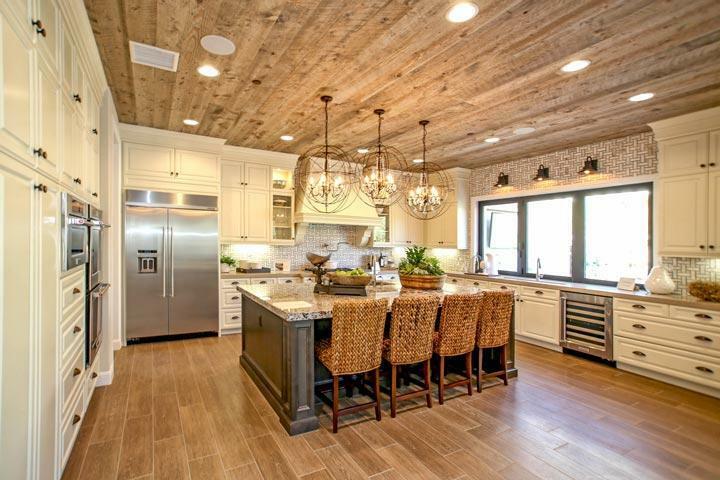 The Robertson Ranch community is managed by Prescott Companies management company who can be reached at 760-634-4700. Robertson Ranch will feature a resort style community pool, spa, outdoor barbecue area and clubhouse. There are a total of 4 neighborhoods with gated community homes available as well. There will be lots of parks in the surrounding area. Here is some additional information regarding the different models that are being built here. Anadalusia model will feature 3 bedrooms, 3.5 baths, 2,961 square feet on a single level. 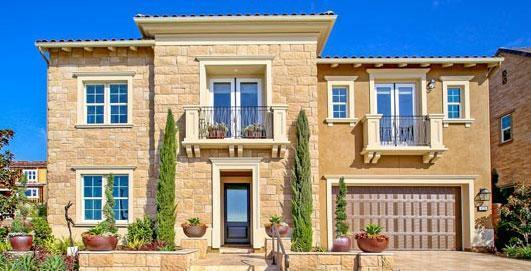 Costa Blanca will offer 4 bedrooms, 4.5 baths, 3,878 on a two story floor plan. La Verde features 5 bedrooms, 5.5 baths, 4,427 square feet on a two story floor plan. 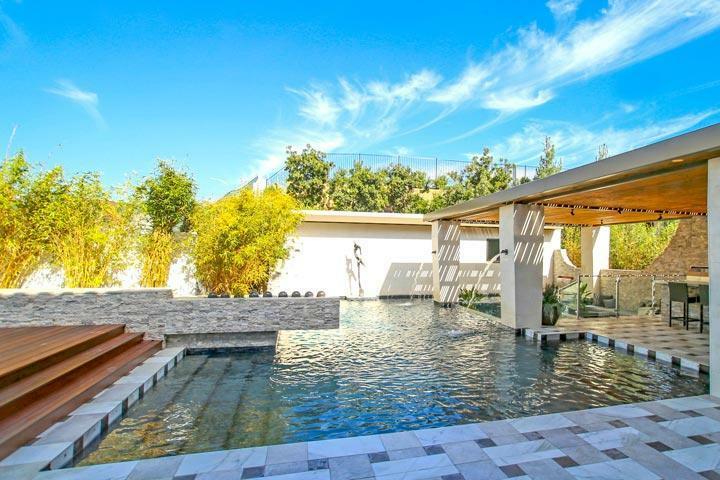 Sanabra offers 5 bedrooms, 5.5 baths, 4,407 square feet and is pictured above. 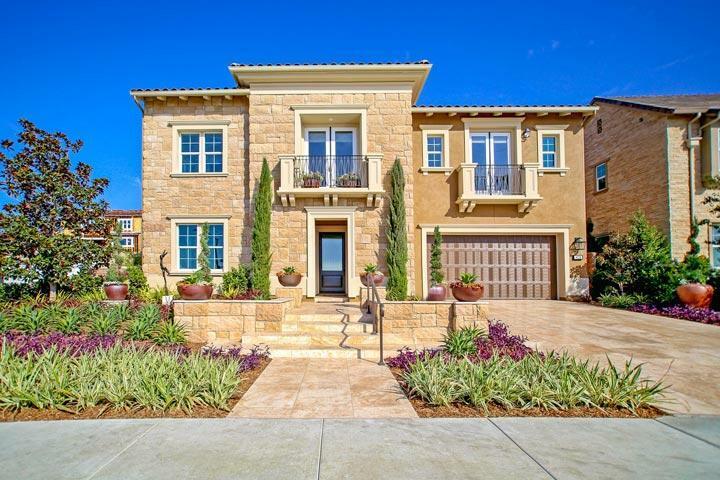 Zamora is the largest at 5 bedrooms, 5.5 baths, 4,686 square feet on a two story floor plan. 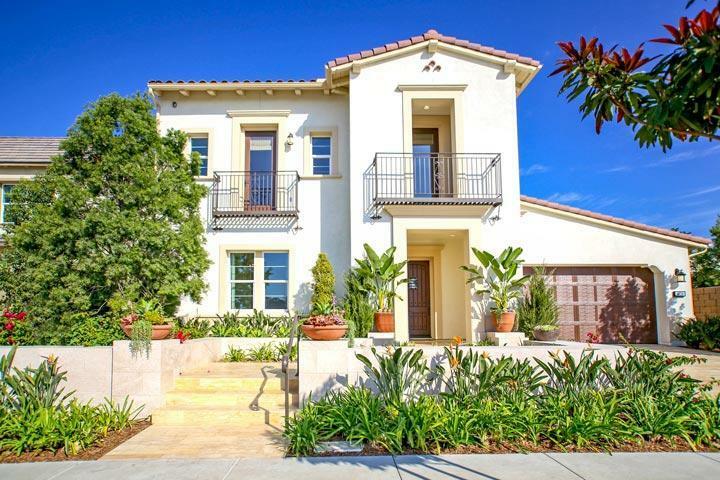 We are proud to showcase all the Robertson Ranch Carlsbad homes for sale here in the 92010 zip code. This includes detailed property and school information, property square footage, bird’s eye view, aerial map, and the exact date Robertson Ranch homes were listed.